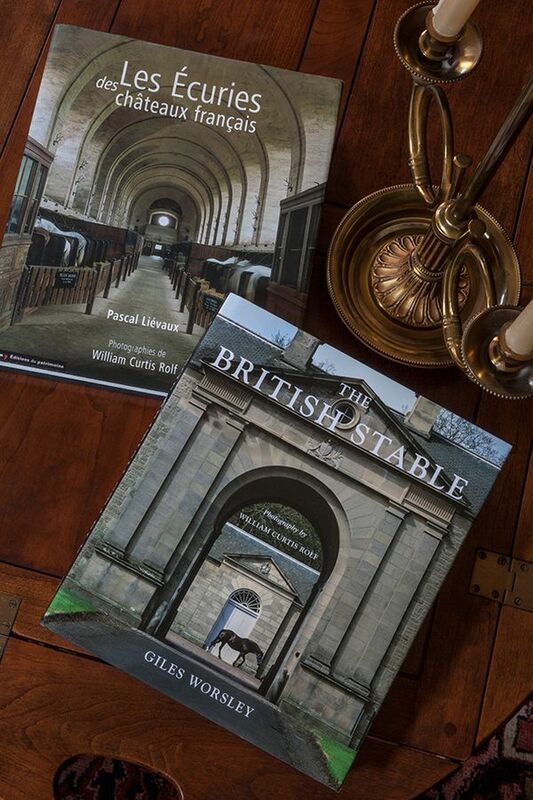 Both THE BRITISH STABLE and LES ECURIES DES CHATEAUX FRANCAIS contain more than one hundred of my photographs of equestrian buildings as well as the definitive texts by eminent writers on the social historiy and architectural evolution of stables in two European countries--England and France--both rich in equestrian architecture. The late GiILES WORSLEY, MA, PhD, FSA was an architectural historian, author, editor, journalist and critic, specializing in British country houses. He launched his career with an architecture editorship for Country Life weekly magazine. Besides writing the text for The British Stable, he was responsible for seven other books on British architecture, including Inigo Jones and the European Classicist Tradition published posthumously in 2007. Our collaboration began in1998 when he had just resigned his position at the Prince of Wales Institute of Architecture to join the Daily Telegraph as Architecture Correspondent. Our first meeting was at Badminton House where we discussed the locations we would include in our book on which we worked together for more than four years. PASCAL LIEVAUX was Professor of Art History at the University of Tours when we decided to do a book on French Stables. He went on to become Chief of the Department of Research in Political Science for the French Ministry of Culture and Communication and is responsible for numerous books, articles and papers on various architectural subjects. He has the broadest knowledge of French architecture of any person I know. We collaborated for four years on LES ECURIES DES CHATEAUX FRANCAIS.